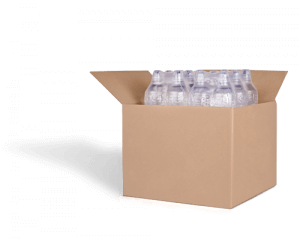 In order to safely send your products, you need to use strong, reliable packaging supplies. But with such a wide range of packaging materials available on the market, it can be hard to find the most practical and economical solution. see how other brands use eco-friendly packaging. The role of packaging in the supply chain is important to guarantee the safety of your product. Your customers expect their package to arrive without a scratch. But the importance of safety doesn’t mean your packaging has to be dull and boring. You need a range of flexible packaging supplies that you will use in a smart, efficient way. Packhelp offers a wide range of small business packaging supplies for both storage and transport needs. No matter where you’re based in the UK or Europe, the range of wholesale packaging supplies can do any job you need it to – deliver your item safely while looking stunning. From cardboard boxes to packaging envelopes or polymailer bags, Packhelp is the one-stop-shop for all your bespoke packaging supplies. Standing out, being seen and creating a memorable experience for your customer is getting harder and harder. There is a growing number of brands that find their way around costly solutions and turn trends like minimalism into an ace up the sleeve. Nowadays, you can’t be flashy and force your brand to look expensive. You need to be smart about every detail and create more complex value in your product. This is essential for small business owners. When you’re facing a limited budget and scarce human resources, you have to be agile. Luckily, Packhelp can provide you with the best custom retail packaging supplies for your ecommerce brand or brick and mortar store. Thanks to the broad range of products, you can keep up with the Joneses and be sure that your packaging is competitive among other brands in your market. 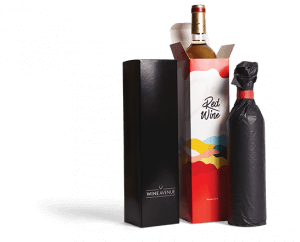 How you can use the full potential of your packaging? 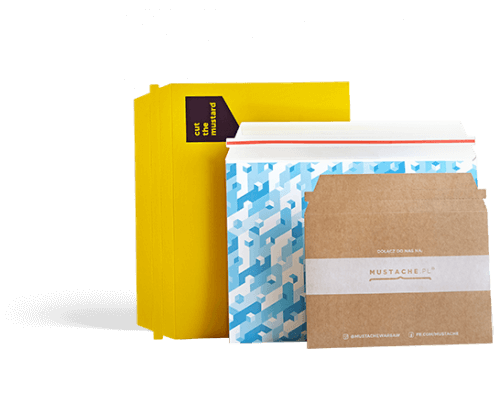 Packaging is the only marketing material that reaches 100% of your customers. Every person who receives your product notices the design of the package. 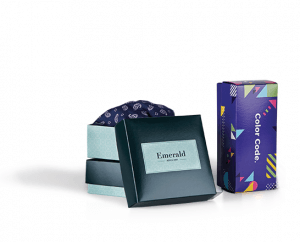 High-quality retail packaging can create a memorable unboxing experience for your customer. This can help you encourage your clients to spread the word about your company on social media. There’s more to quality packaging than just a box. Small details like packaging tape, address labels and other things really create the complete experience for your customer. 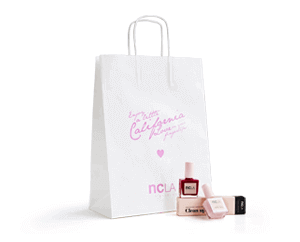 See the products that can do that – tissue paper, cardboard envelopes and paper bags. Simple gift packaging supplies can make the world of difference to the way your parcels are presented to the customer. 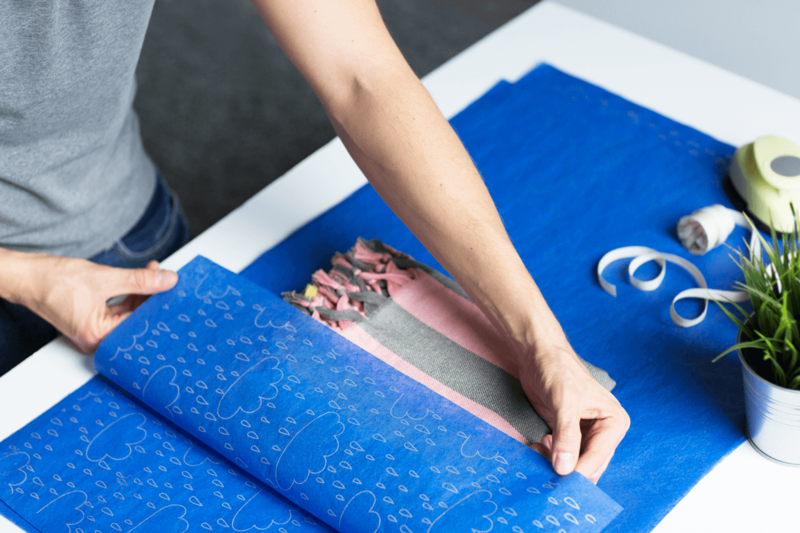 Customised tissue paper is your go-to packaging material if you want to add something extra to your design. Tissue paper can be used to wrap a product. With the unique opportunity of creating a pattern within a few minutes, you can enhance the appearance of your product. It helps your branding, too. 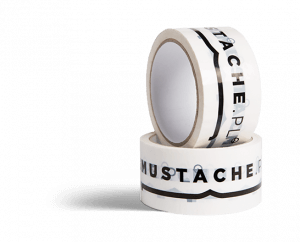 A semi-transparent layer of delicate paper looks very fashionable and becomes a memorable element showcasing your logo. 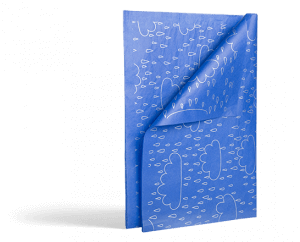 Click here to design your customised tissue paper in Packhelp’s editor. Unique packaging supplies aren’t necessarily sets of branded packaging. 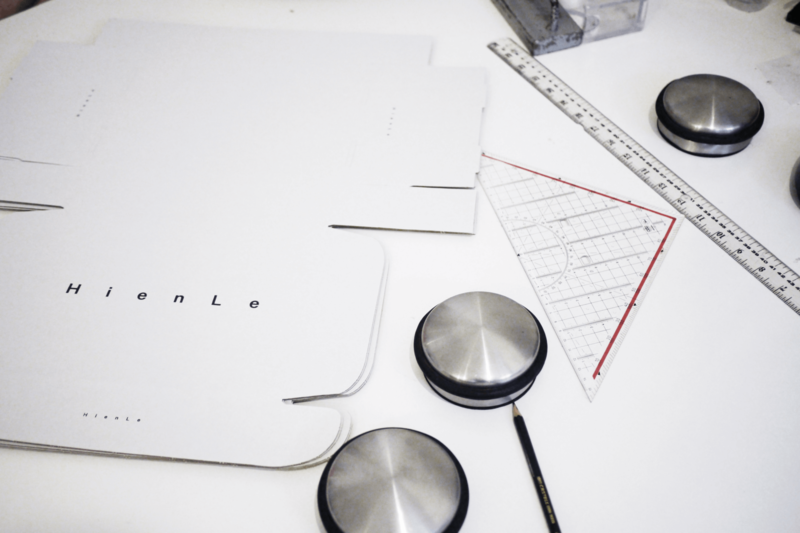 Need nothing more than an envelope with your logo on it? Or maybe a more complex solution (with a pattern or vivid colours) will describe your brand better? 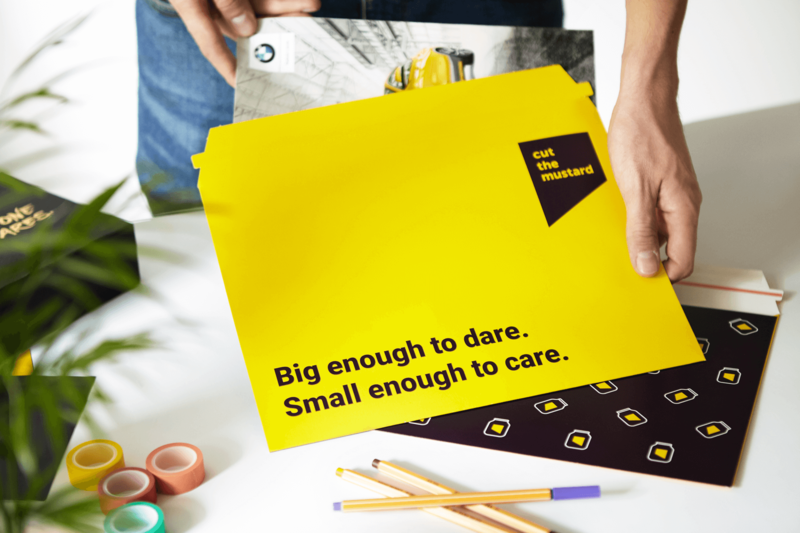 Take a look at Packhelp’s range of customisable envelopes. Ideal for important documents, magazines and any other form of print media, a bespoke envelope is a great place for your logo. A bespoke envelope is great for your corporate branding too, taking your image into the hands of your new client. By sending your documents in branded envelopes, you communicate your professionalism. It’s most important in the case of marketing and PR agencies. If you’re supposed to take responsibility for your client’s image, you have to be a great example on your own. And one last thing – a simple peel and seal flap makes the content secure so that you don’t have to worry about the safe delivery anymore. 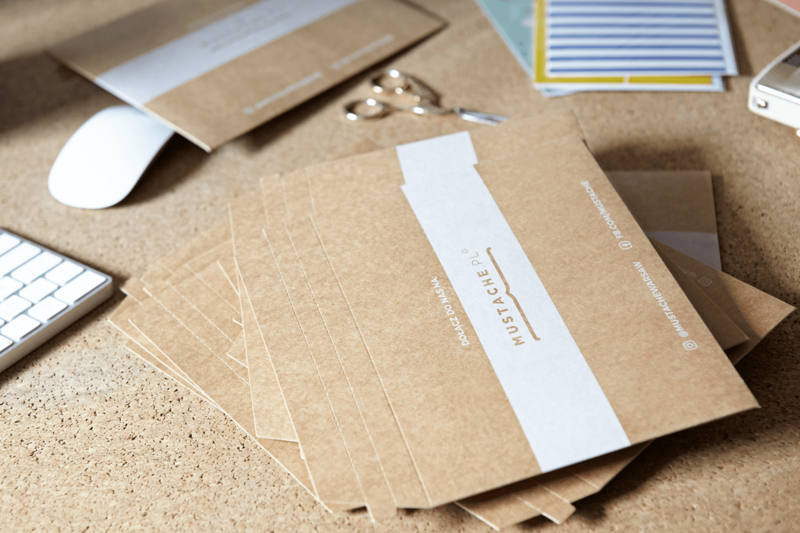 Click here to see the sizes and printing options of personalised envelopes made from recycled cardboard. Branding refers to all of the pieces that form your company. 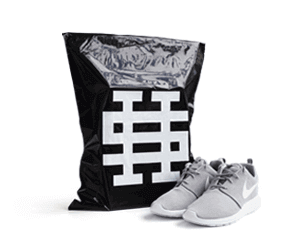 Packaging supplies that you use are an important element of your branding strategy. As a business owner, you need to identify the best options that your customers will find convenient. 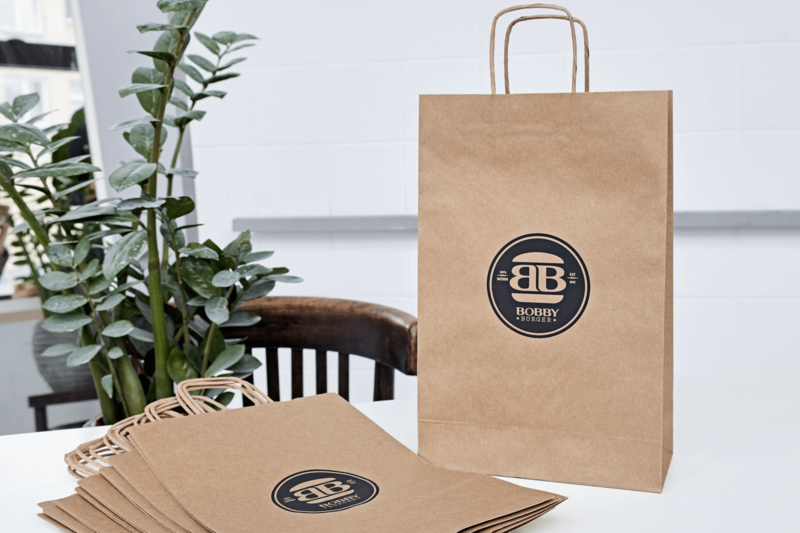 In the case of a brick and mortar store, customised paper bags are a safe choice. Paper bags are made from recycled paper. You can add an imprint on both sides and have full control over the design. 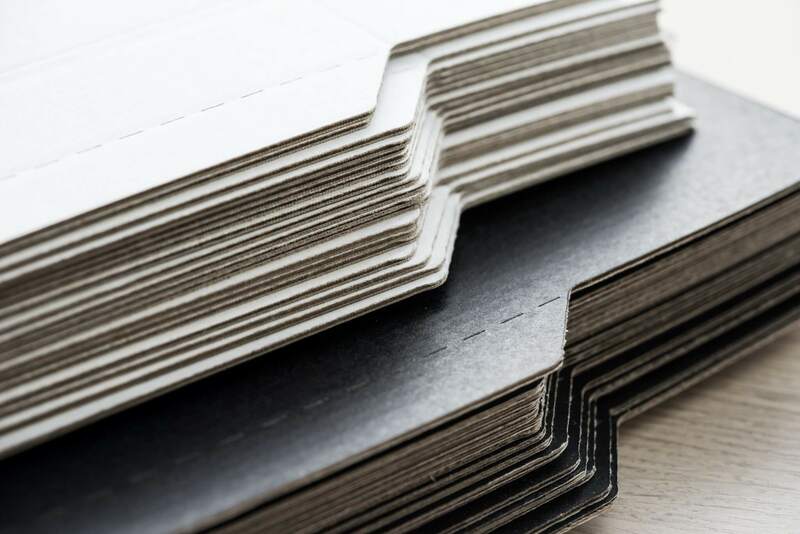 A brand focused on an eco-friendly approach will utilise the natural kraft variant, while whitened paper will look great with more abstract designs. Packhelp provides you with paper bags from 30 pieces up to wholesale quantities. Depending on the size of your company, you will be able to adjust it (and remain flexible). Click here to learn more about paper bags and how can you design them on your own. For many brands, supporting the environment is one of their most important values. In one of our articles about branding, we have showcased an example of Girlfriend Collective – an American clothing brand that elevates eco-friendliness to the major role in the company. If the materials used to make your product are sustainably sourced, why not go one step further? In the past, you’d have to go to great lengths to buy packaging supplies that were environmentally friendly. These packaging products wouldn’t have been cheap, either. Fortunately, times are changing. 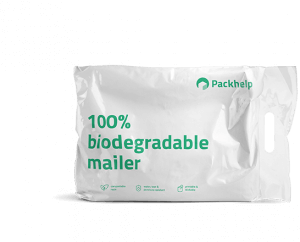 Packhelp’s postal packaging is made from FSC certified cardboard. The FSC certification ensures that all our packaging supplies are made from sustainable, renewable and recyclable materials. The pulp used in the production of the cardboard comes from sustainable forests grown specifically for this purpose. The FSC logo also gives you the peace of mind that your eco packaging supplies are also made of recycled items. 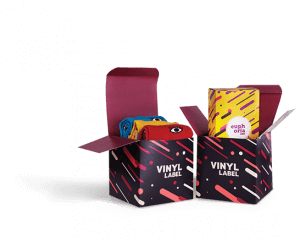 Our range of Eco Mailer Boxes are a great way to show off natural texture of cardboard, but still, have your own branding visible. 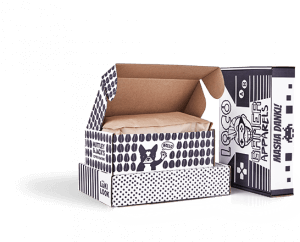 The simplicity of corrugated cardboard boxes and a black ink creates an organic warmth that beams from your packaging. It’s a solution used by companies from various industries. Consider the two examples below. 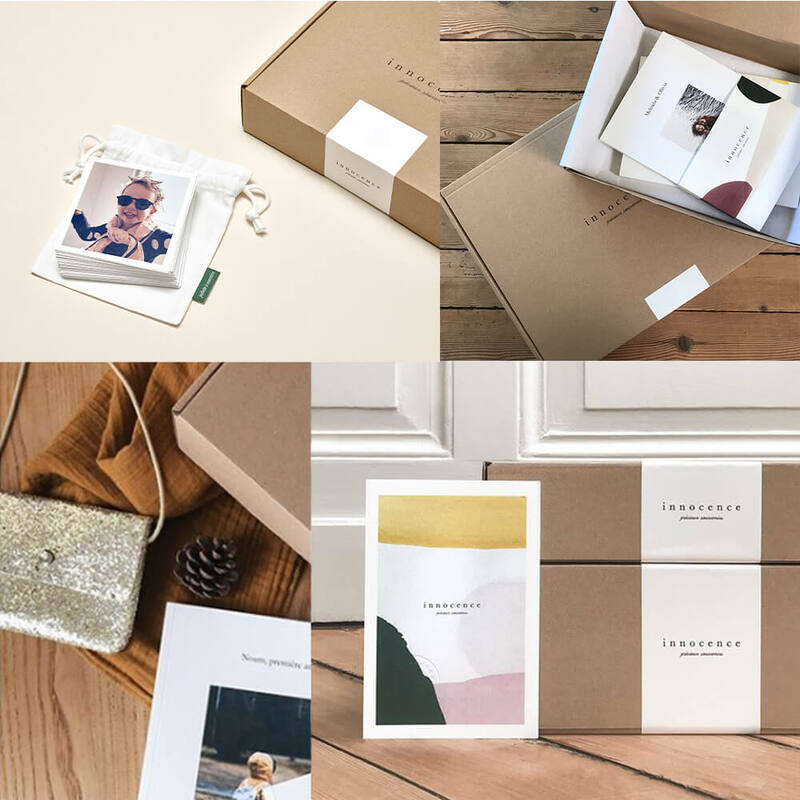 A producer of personalised notebooks and photo albums – a French company Innocence Paris – used corrugated cardboard boxes and the effect is both elegant and eco-friendly. Boxes with a lid can also be a solution for you. 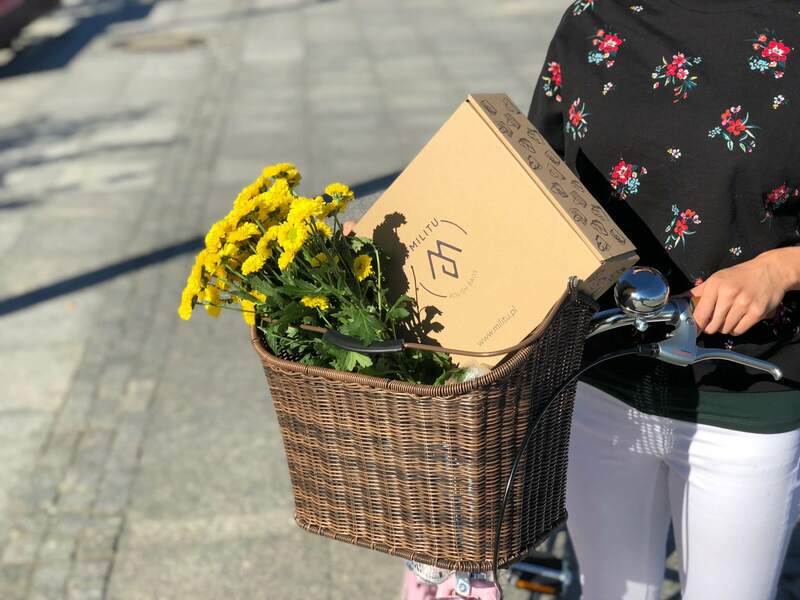 A Dutch brand Slopes & Town explained in a case study made with Packhelp, that an eco-friendly packaging was crucial for their brand image. 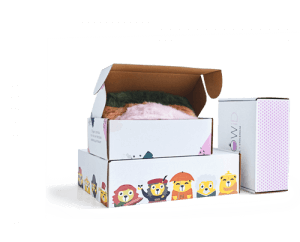 Using Packhelp, you can finally use eco-friendly wholesale packaging supplies for your business – without spending a fortune to help keep the planet healthy. 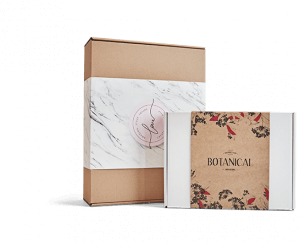 Click here to learn more about the eco-friendly packaging boxes for mailing. What if you’re in need of wholesale packaging supplies? Buying large quantities of packaging in one go can save you money – big time. 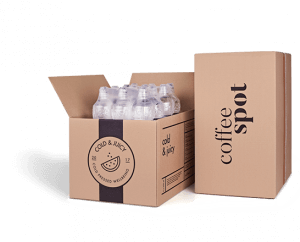 Whether it’s detailed and intricate packaging or plain and simple boxes with a logo, you can find it all within the range of product that Packhelp offers. You can buy your wholesale packaging supplies online. Minimum order quantities start at just 30 pieces and go right up to…well, anything. 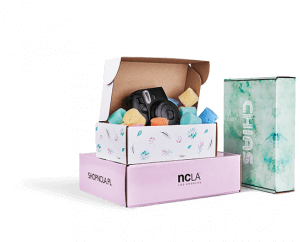 If you need 50,000 custom boxes with your logo on them at a wholesale price, Packhelp is the solution for you. Just visit the Packhelp shop, decide on the product you want and add it to your cart. Use the online design tool to drag and drop your logo, or create an intricate layout for your box. Then pick your amount – from 30 to 30,000. To see packhelp’s full range of packaging supplies, go visit the shop and find the packaging solution that best suits you! Unique packaging supplies come in all forms and kinds. 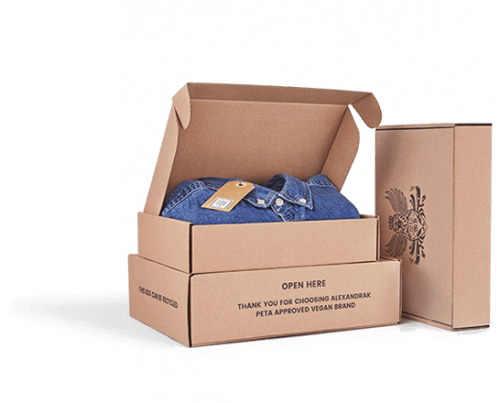 You can create eco boxes from corrugated cardboard, as well as paper bags, poly mailers or more sophisticated, non-standard solutions. The sky is the limit with Packhelp. 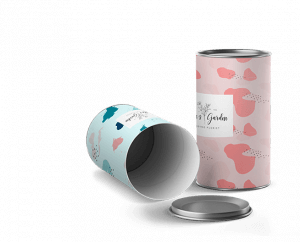 Start designing your own branded packaging solutions!